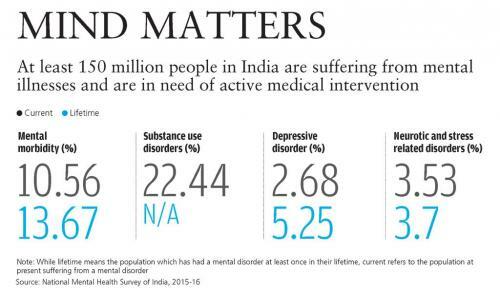 There’s a grim silence whenever someone says they are facing mental health issues. 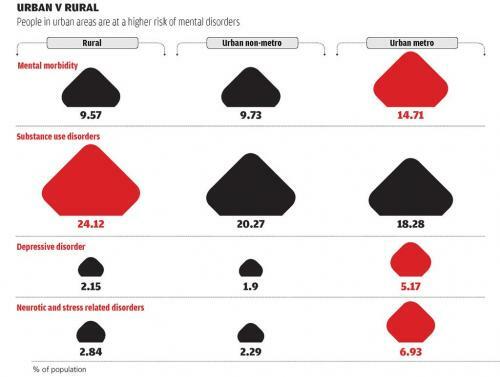 This is when National Institute of Mental Health and Neurosciences (NIMHANS), Bengaluru, had clearly said in 2016 that 150 million Indians require mental health care and the National Mental Health Survey of India, 2016, found that more than 10 per cent of the country’s adult population suffers from various kinds of mental illnesses. If this did not serve as a wake-up call for Indian society, don’t know what will. REBUILD SOCIAL BONDING: In the modern world, traditional family and social support systems are gradually collapsing. To worsen the situation, people are spending more time in the virtual world, watching TV, playing games on mobile phones or spending time on the social media. This further disconnects them from the real world. People should build their own social support network. One way to do this is to make an effort to talk to parents and other family members on a regular basis. DON’T HESITATE TO SHARE PROBLEMS: People should use relationships when they face any challenges in life. They should share their problems with their near and dear ones. 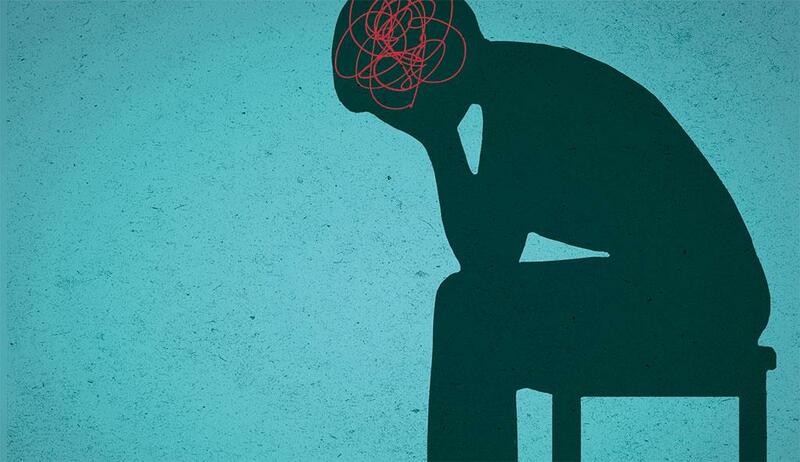 DON’T LET WORK STRESS COME HOME WITH YOU: It’s quite normal to get stressed at work. But do not carry it home with you as it would affect your personal life. It would also spoil your relationship with your family members. ALCOHOL AND CIGARETTE ARE NO STRESS BUSTERS: Smoking and consumption of alcohol is common when a person gets stressed. While these may appear to lessen the body’s response to stressors, the fact is intoxicants add to the stress level by suppressing the body’s ability to cope and disrupting mental performance. STAY ACTIVE, STAY FIT: Physical activity has taken a backseat in the era of industrialisation and mechanisation. So make physical exercises, such as walking, aerobics, outdoor sports or yoga, part of your daily routine. This helps increase the production of your brain’s feel-good neurotransmitters, called endorphins, and distracts you from daily worries. GO ON A VACATION: Vacations break the cycle of day-to-day activities and thus help relieve the stress accumulated over a period of time. However, people burdened with work, fail to understand the importance of time-out. Spending time with family members helps lead a good life. TAKE MENTAL HEALTH SERIOUSLY: People tend to ignore mental health as they do not feel any immediate physical pain or challenge. This is dangerous. People should consult a doctor as soon as they notice a slightest hint of change, irrespective of their age. This helps in timely diagnosis and treatment. 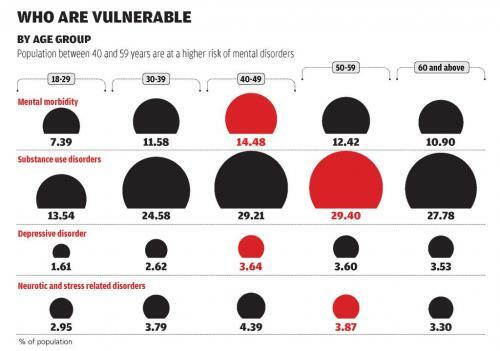 BE AWARE ABOUT MENTAL ILLNESS: Understanding the science of mental health helps identify early signs of the illness. It also helps avoid superstition. EAT HEALTHY: Physical conditions like obesity and hypertension are directly related to mental health. Since the body and mind influence each other, unhealthy foods can result in a mental health crisis.